With Microsoft’s recent announcement on the availability of AppSource, for Dynamics 365, I.B.I.S., Inc., and parent company, Sonata Software, are pleased to announce their two solutions available on Microsoft’s AppSource - Advanced Supply Chain Software™ for Dynamics AX and Brick & Click Retail Solution. We are happy to be a part of this cloud movement with two ISV apps that strengthen the Dynamics AX solution for Microsoft clients, adding significant value. With Microsoft’s recent announcement on the availability of AppSource, I.B.I.S., Inc., and parent company, Sonata Software, are pleased to announce their two solutions available on Microsoft’s AppSource - Advanced Supply Chain Software™ for Dynamics AX and Brick & Click Retail Solution. Microsoft just announced that it will be launching a business app cloud service - Dynamics 365. Leveraging the Office 365 model, Dynamics 365 features capabilities of Dynamics AX, CRM and Project Madeira, offering clients the specific role/business unit functionality they need. With this announcement, Microsoft has shared AppSource, the new app store to support Dynamics 365. I.B.I.S. + Sonata have industry specific solutions for retail and supply chain business available both on premise and now in the cloud via AppSource. Advanced Supply Chain Software™ for Microsoft Dynamics AX is a supply chain solution, designed to meet the needs of modern distributors and manufacturers. Additionally, Brick & Click for Dynamics AX is a retailing solution, now available on AppSource, that is a fully unified Omni-Channel Commerce platform. “Microsoft recently awarded Sonata 2016 Microsoft Country Partner of the Year for India. We were recognized for providing outstanding solutions and services to clients, such as Azure Security Center and Azure Stack. We are completely bought into the benefits of doing business in the cloud," shared Srikar Reddy, Sonata Software CEO and Managing Director. Sonata Software is a global IT services firm focused on catalyzing transformational IT initiatives of its clients through deep domain knowledge, technology expertise and customer commitment. The company delivers innovative new solutions for Travel, Retail & Consumer Goods and Software Product Companies by integrating technologies such as Omni-Channel Commerce, Mobility, Analytics, Cloud and ERP, to drive enhanced customer engagement, operations efficiency and return on IT investments. A trusted long-term service provider to Fortune 500 companies across both the software product development and enterprise business segments, Sonata seeks to add differentiated value to leadership who want to make an impact on their businesses, with IT. 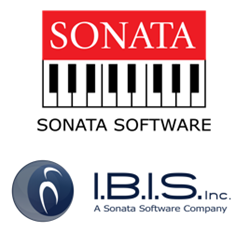 Founded in 1989, I.B.I.S., Inc. a Sonata Software Company, provides digital transformation for distributors, manufacturers and retailers. Through a Strategic Developer Partner relationship with Microsoft, I.B.I.S. provides world-class solutions for enterprise resource planning (ERP), customer relationship management (CRM), business intelligence (BI), and application development. I.B.I.S. specialties include Microsoft Dynamics AX and CRM solutions focused on supply chain needs. I.B.I.S., Inc. is a two-time winner of Microsoft Dynamics Outstanding Partner of the United States Award, a Worldwide Finalist for the Microsoft Dynamics AX Partner of the Year, Microsoft Dynamics 2015 Distribution Partner of the Year in the United States, a Microsoft Partner with Four Gold Competencies (ERP, CRM, Business Intelligence, Application Development), and a ten-time Microsoft Dynamics Inner Circle Partner. In addition, I.B.I.S., Inc. is among the very select few companies that are Microsoft Dynamics Global Independent Software Vendors for Dynamics AX and CRM.